Capt. Grimmer discussed the Civil Air Patrol, a volunteer, non- profit, Auxiliary of the US Air Force. He discussed the history of CAP, his three Congressional Missions and, morespecifically, the opportunities for General Aviation pilots. He has been a member of the Civil Air Patrol for over five years and has obtained the Emergency Services Rat- ings as a SAR Ground Team Leader, Aircrew Mission Scanner, Aerial Photographer and Mission Observer. Chapter #13 and RCCD member Noel Hunt. The RCCD will be viewing “Piece of Cake”, a six part series, at their regular meetings over the winter months. The film depicts the life of a Royal Air Force fighter squadron from the day of the British entry into World War II through to one of the toughest days in the Battle of Britain (7 September 1940). We saw the first film of the series. As many of you are aware, Ren Sagaert recently acquired a Lake Amphibian. 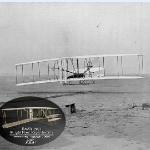 The plane however was located in Washington state and had to be ferried from the West Coast back to Michigan. Ren asked Dennis Glaeser to assist him with the task. Together they took a commercial flight out west, picked up the plane and brought it home. We heard about the “rest of the story” at our regular October meeting. September's presentation was by the Metro Detroit Metal Workers Club, thanks to Chapter 13 member Louis Knapp. Their interests run the full gamut within the realm of metalworking. Membership ranges from amateur to professional, but medmbers were amazed seeing professional results in many projects. Exhibits will include static and working models, also various projects underway. We understand that the group contributes projects to the North American Model Engineering Expo, which has been publicized in this Newsletter in the past. This year we had a relaxing get-together. Had a burger or dog. Met the gang, talked to some of the new members or some of the old, looked for answers to questions about a project, or brought a part of a project along for “show and tell”. There was no requirement that conversations revolve around airplanes and flying. The sky’s the limit (pardon the pun). Douglas Isham is an Instructor Pilot and TACOPS officer in the CH-47F helicopter for the Michigan Army National Guard at Selfridge Air National Guard Base. During his almost seventeen year career, he has deployed numerous times with both the Army and the Air Force in support of Opera- tions Southern Watch, Noble Eagle, Iraqi Free- dom, Enduring Freedom and the Global War on Terror. A member of the EAA since childhood, eventually Doug wants to build many experimental aircraft and test new aircraft designs in retirement. Selfridge Radar Approach Control (RAPCON) is responsible for over 1500 square miles of airspace and is negotiating for more. A large section of their airspace is over Canadian soil. In spite of the militarily diverse traffic assigned to Selfridge ANGB, nearly 80% of the more than 35,000 annual operations worked by the RAPCON are general aviation and air carrier aircraft. In addition to Selfridge, they are responsible for the IFR arrivals/ departures of aircraft for Saint Clair County International, Romeo State, Ray Community, Marine City and Harsens Island Airports and over-flight traffic bound for locations in Detroit Metro’s air space. Dr. Gordon presented the latest information on the issue of Sleep Apnea. Dr. Gordon has practiced medicine for 30 years and is Board Certified in Family Practice and an added qualification in Sports Medicine. He has been a designated Federal Aviation Administration Senior Aviation Medical Examiner for 15 years. He is one of the select few A.M.Es that were chosen to attend the Advance AME program at C.A.M.I. We deviated from our usual guest speaker program in March by showing the film “EAA AirVenture 2014”. Each year at AirVenture the EAA photographers and videographers cover the show on a daily basis filming every thing of interest. I Married Ed Stoll in 1967 which brought me into the ranks of EAA Chapter #13. For 40 years we shared a love of aviation, travel, and photography. I had my first flight ever with Ed in his club’s Cessna 140, took lessons at City Airport, and finished at St. Clair County. I have also soloed in a Schliecher ASK 13, two seat glider. Together, Ed and I traveled for years, on a budget. We made eleven trips to Europe, four trips to South America, also to Australia, New Zealand, Japan, Thailand, Hong Kong, and we flew over the peninsula of Antarctica. After Ed Passed away in 2008, I had to adjust to life with no remaining loved ones. But I refused to give up what I’ve always loved, travel and photography. Hence my recent Arctic adventure on the National Geographic ship, the Explorer. I hope you enjoyed seeing some of the many photos taken on that voyage.